Three ways to try out pineapple hair. 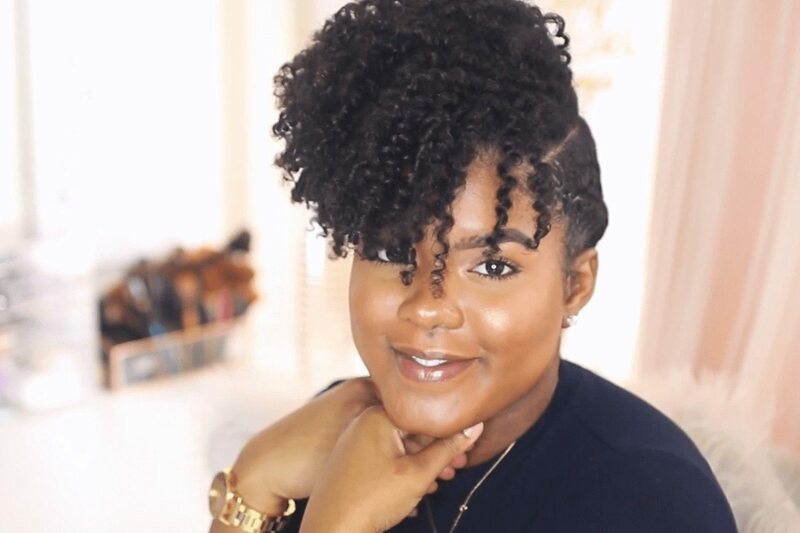 Many natural hair gals love how the pineapple technique keeps your curls in place while you sleep. 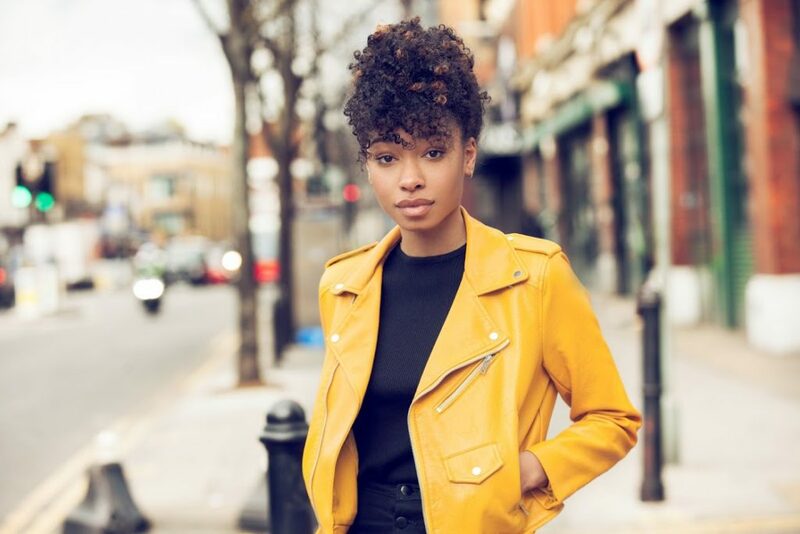 What’s more, this is more than a hair maintenance technique, it’s also a natural hairstyle that can be worn when you’re out and about. 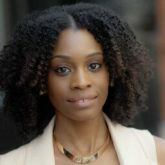 We just adore how the pineapple is a fun and stylish way to keep your curls up and out of your face on a hot summer day. And what’s even more? 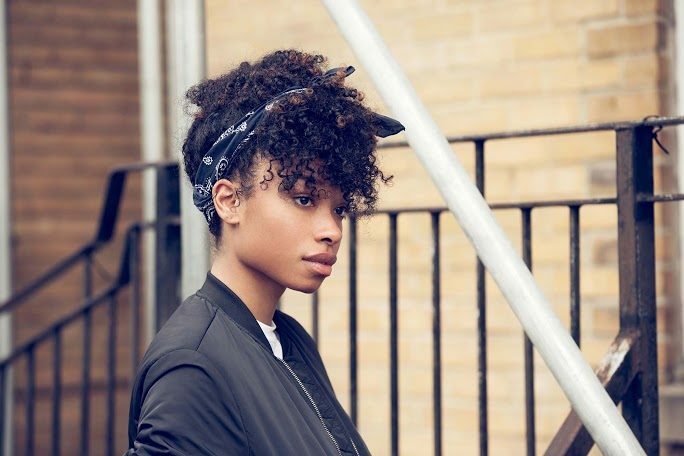 You can rock this hairstyle with bangs, whether you have a fringe or not. Lastly, your curls don’t have to be super long to get in on using this method on short hair for maintaining your short ‘fro. Adding bangs to your pineapple hairstyle is a fun way to update the look. Don’t have bangs? Pin the hair up to fake the look! Step 1: Bend and smooth your hair. Bend forward and smooth your hair upward as you gather it into a high ponytail. Alternatively, you can slip a wide hair tie over your neck that you slide up onto your hair to create the ponytail and you’re done! If you’re doing it the other way, proceed to step two. If your hair is in need of a little detangling, try Suave Professionals Cream Detangler Spray for Natural Hair, which will help make your hair more manageable and super shiny. Step 2: Apply a hair tie. Apply hair tie to secure the pineapple ponytail in place. Step 3: Tease your hair. Tease your curls with your fingers until they fall in place, or as your heart desires. Step 4: Smooth your hair. Smooth hair at the base of your head. 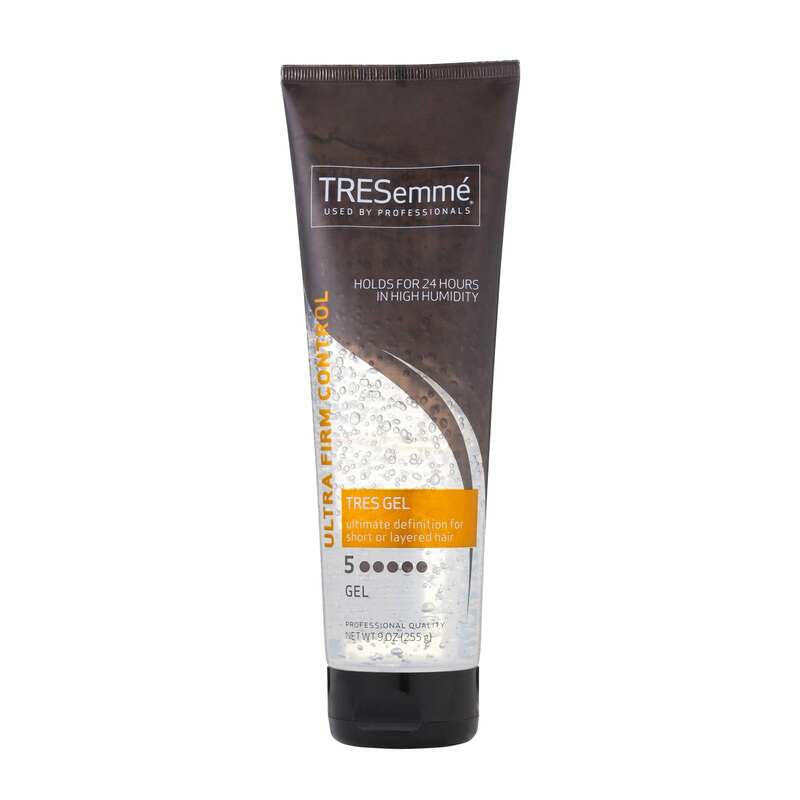 You can use a hair gel like the TRESemmé Extra Firm Control Gel to keep hair in place and to give the hair a wet or shiny appearance. Chic side flat twist style. Step 1: Section your bangs. Section off your bangs. You can use a hair clip or hairpin to keep them out of the way. Step 2: Smooth your hair. Bend forward and smooth your hair upward into a high ponytail. Step 3: Secure the pony. Step 4: Cascade your bangs. Bring the hair from the ponytail forward to cascade into your bangs. Release your bangs and style. If your bangs need a pick-me-up, refresh your curls by using a gel to help define them. We recommend using TRESemmé Ultra Firm Control Gel, which also tames frizz without drying the hair out. Step 6: Set your style. Spray with some hairspray like the TRESemmé Compressed Micro-Mist Level 2 Hold Curl Hair Spray to keep frizz at bay while also keeping your curls in place. If you want to pineapple your hair preserve your curls, you’ll want to try this process for bed. Repeat the steps above, but this time, you’ll use a loose scrunchie, preferably made out of satin or silk since they don’t cause friction to the hair as cotton does. Apply an oil like coconut oil to provide your locks with smoothness and manageability. Be sure to keep it loose and avoid twisting the scrunchie around more than once, this will prevent any markings or dents along the surface of your hair. In the morning, slide the hair tie off and shake your hair, allowing your curls to open up and fall. Use your hands to style as usual and you’re all set. Now the pineapple method may be difficult for those with shorter hair lengths. Don’t fret! We have a trick for you. Create multiple pineapples throughout your hair. For example, you can create for sections and pineapple each with a small silk or satin scrunchie. In the morning release, shake and gently massage your roots to get rid or visible parts. Style and you’re ready to hit the door!